19 August 1946, Hope (Arkansas, USA). 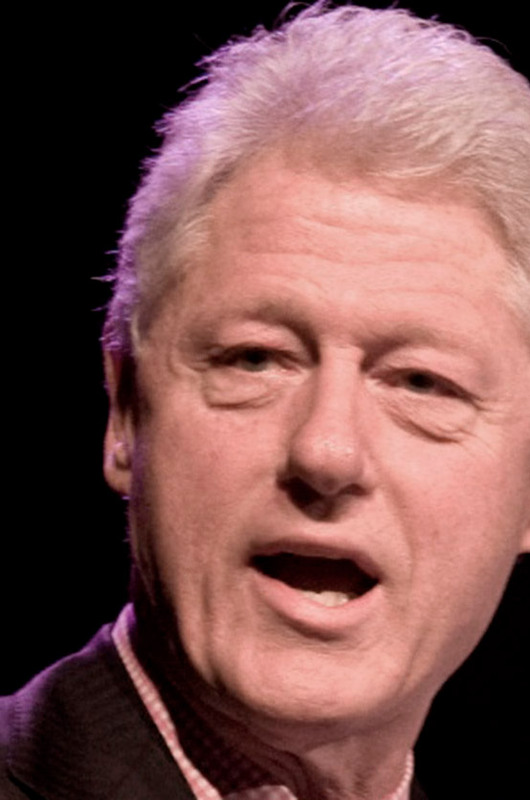 William Clinton holds a BS in International Affairs from Georgetown University, Washington D.C. (1968) and a PhD from Yale Law School (1973). 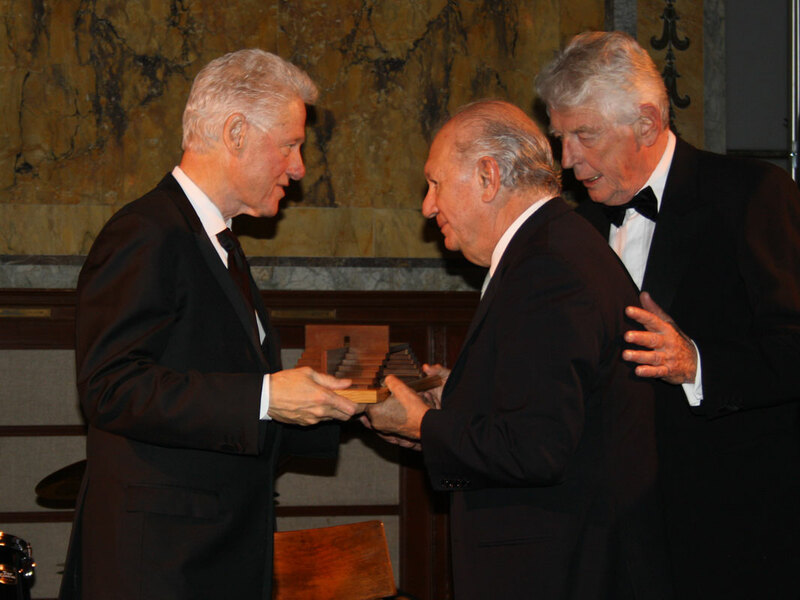 He studied at Oxford University in 1968 as a Rhodes Scholar. 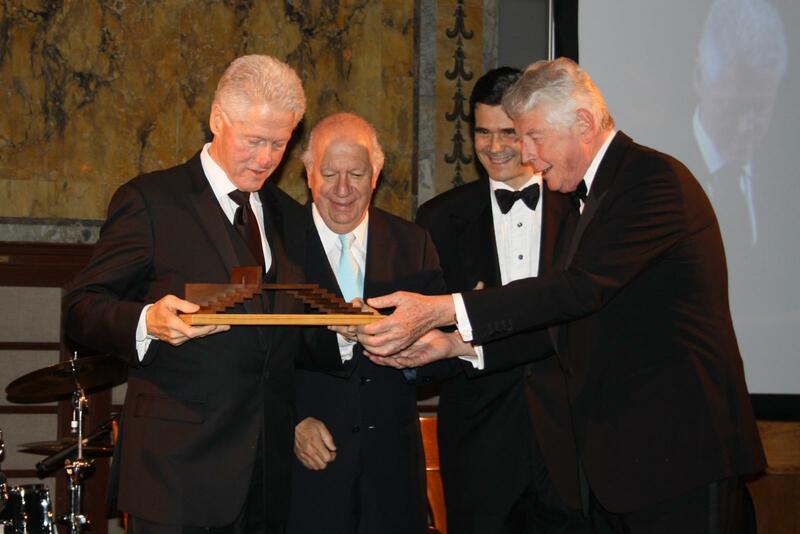 After leaving the White House, President Clinton established the William J. Clinton Foundation with the mission to strengthen the capacity of people in the United States and throughout the world to meet the challenges of global interdependence. 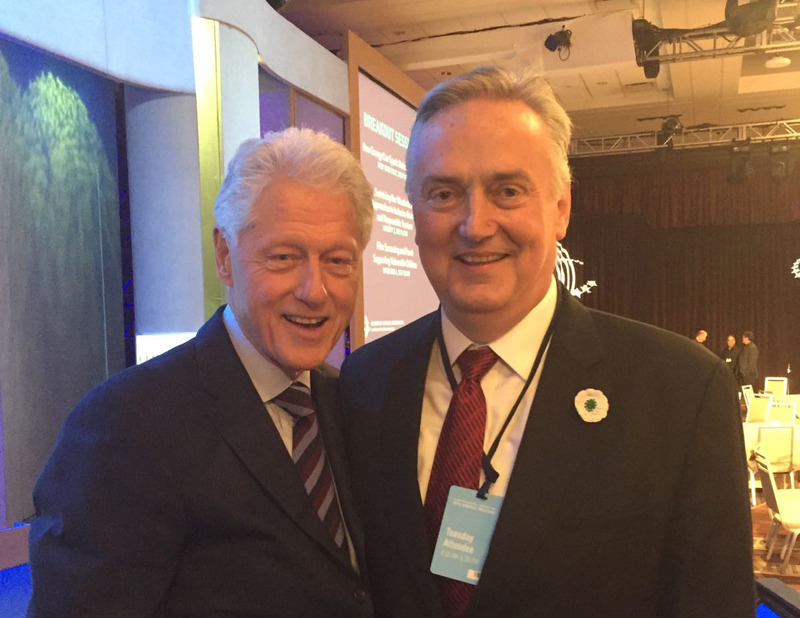 Today the Foundation has staff and volunteers around the world working to improve lives through several initiatives, including the Clinton Health Access Initiative (formerly the Clinton HIV/AIDS Initiative), a separate non-profit organization, which is helping 2.6 million people living with HIV/AIDS access lifesaving drugs. 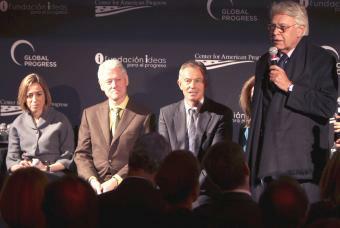 Other initiatives — including the Clinton Climate Initiative, the Clinton Hunter Development Initiative, the Clinton Giustra Sustainable Growth Initiative, and the Clinton Economic Opportunity Initiative — are applying a business-oriented approach worldwide to fight climate change and develop sustainable economic growth in Africa and Latin America. 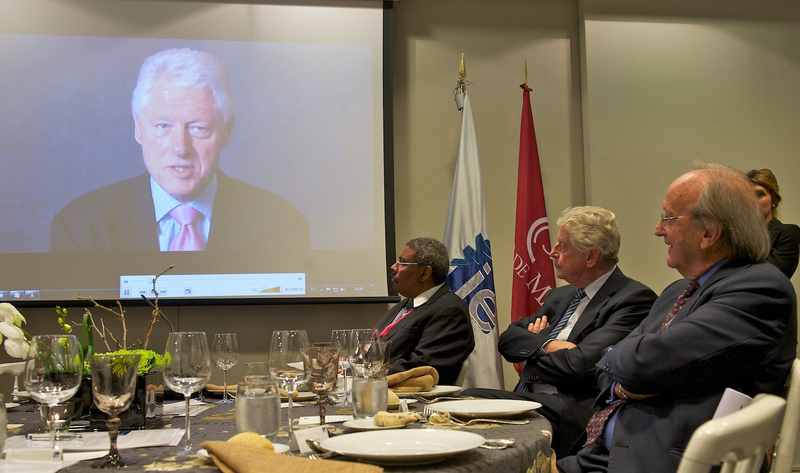 The Clinton Global Initiative brings together global leaders to devise and implement innovative solutions to some of the world’s most pressing issues. In the United States, the Foundation is working to combat the alarming rise in childhood obesity through the Alliance for a Healthier Generation and is helping individuals and families succeed and small businesses grow.